Kate is the person you will meet first when you engage Kate Coote. as your digital marketing specialists. Kate’s a people person, she’ll enjoy chatting with you to find out more about your business and how she can help you thrive online and offline. 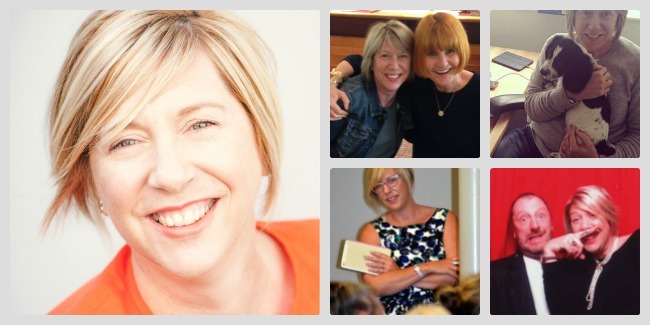 Thirteen years ago Kate was a technophobe… But having started an e-commerce business that sold handbags and top class trinkets, and with a very limited marketing budget, she realised that if she wanted to build an online audience she needed to get friendly on Facebook and Tweet with the best of them. She soon developed a love of all things social and decided to ditch the handbags for hashtags. She began sharing what she had learned about building an online audience with other businesses, and KateCoote. was born. These days, if Kate was on “Mastermind” her specialist subject would be social media; she can help you overcome any fears you have about Facebook, she won’t let you be intimidated by Instagram, and she’ll make sure you become a top class Tweeter. Kate has always had a love of storytelling, (Jackanory was a favourite as a child, and now Tom Hardy is presenting it… Well!). So with a desire to consistently entertain, you’ll understand why Kate’s clients have become bountiful bloggers. Kate has sat on social media panels at various seminars, she has presented on social media on behalf of the Nelson Tasman Business Trust and for BNZ business clients, and has guested on podcasts to discuss the use of social media for business. As a wordsmith, Kate crafts killer copy. She’ll find your business’ voice so that your audience engages more readily with you! Kate will help your business enjoy the positive media coverage it deserves, by helping you identify the stories that matter and ensuring they reach the right people and publications. Kate Coote. can design and build your website, bringing your ideas to life. We’ve been working with WordPress for over 10 years, the website platform software that now powers 23% of the Internet. We develop smashing e-commerce websites utilising WooCommerce. We know that your business needs to grow online, that’s where the money is, and we do the research to make sure you have a great platform that will ensure you get found and get results.